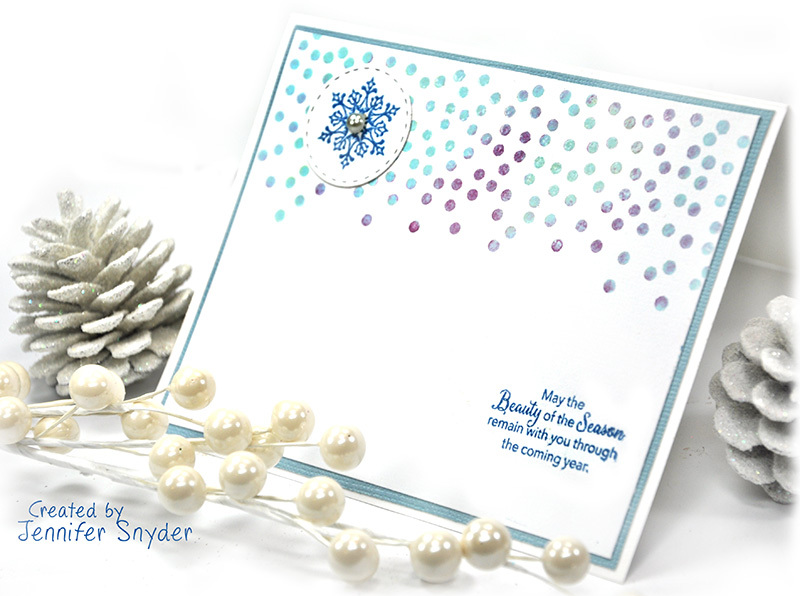 I have a simple yet beautiful frosty card I created using some dies and stamps from JustRite. 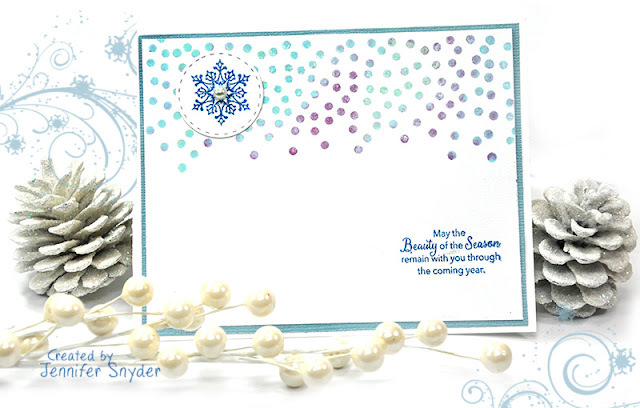 Not a lot to this card, but sometimes simple is effective and I love the colors I chose. 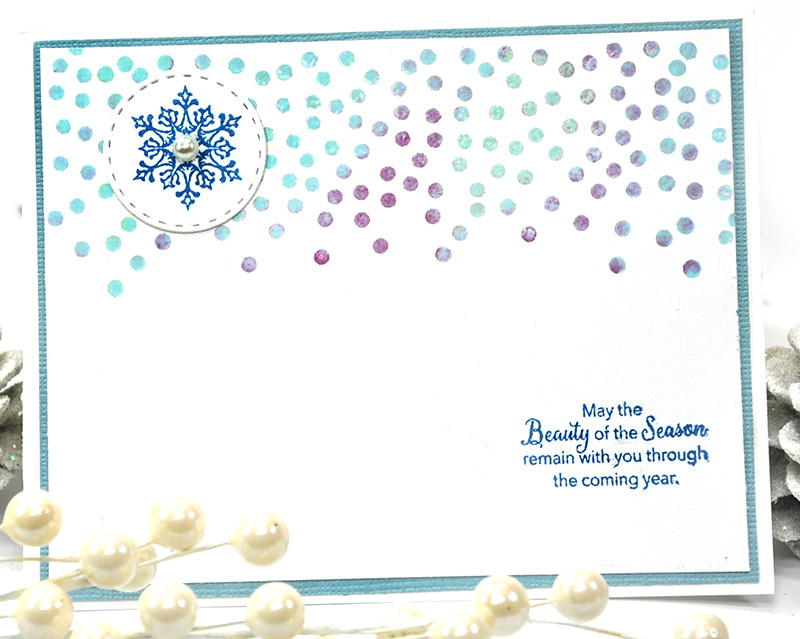 The background of the card was created using JustRite Confetti Trio Background Stamps. I thought I would dab the stamp with three different colored distress inks - Dusty Concord, Broken China and Bundled Sage. The sentiment in the corner is JustRite Small Oval Christmas Tidings Clear Stamps and is stamped using Tim Holtz Distress ink in Faded Jeans. 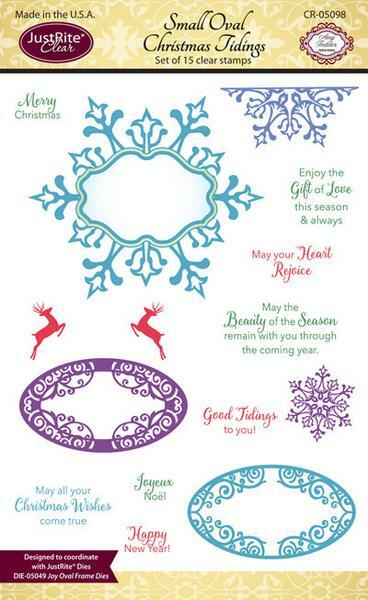 JustRite Four in a Square Die, then stamping the snowflake design from the JustRite Small Oval Christmas Tidings Clear Stamps.